Low Flow Faucet Aerators – Small Change, Big Savings! Water consumption is a growing concern in homes across the country. By reducing the amount of water you use at home, you can help protect the environment and lower your utility bills. Although there are major upgrades you can make to your plumbing system to reduce your home’s water consumption, there are also many small and inexpensive changes you can make, such as installing low flow faucet aerators. What is a low flow faucet aerator? A low flow faucet aerator is a small part that’s added to the end of your faucet that breaks a single stream of water into many separate streams. By separating one stream of water into multiple streams, aerators reduce the amount of water that flows out of a faucet while still maintaining an adequate flow. What are the benefits of installing a low flow faucet aerator? Inexpensive. Of all the ways you can reduce your home’s water consumption, installing low flow faucet aerators is among the least expensive. In fact, installing low flow aerators typically pays for itself quickly in future water savings. Easy to install. Installing low flow faucet aerators is a simple do-it-yourself project. All you have to do is unscrew your faucet spout and replace the existing washer and screen with the new low flow aerator and washer. The whole process can be done in about 30 seconds. Significantly reduce your home’s water consumption. Of course, the whole purpose of installing low flow faucet aerators is to reduce your home’s water consumption. Although faucets are considered “low-flow” by the EPA if they have a flow-rate of 2.2 gallons per minute (gpm), adding low-flow aerators can reduce a faucet’s flow-rate even further to as low as 1 gpm. Imagine the many gallons of water you can save by making this simple upgrade! If you have any questions about a low flow faucet aerator, or if you’d like a plumbing system serviced or installed in your home, contact Tiger, your St. Louis Metro East plumbing, heating and air conditioning company. 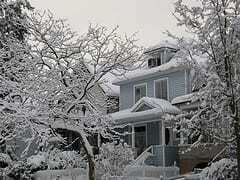 As the cold, winter weather continues here in the Midwest, you may be shocked by your utility bills. Yes, your furnace is running more with the frigid temperatures, but is it running at peak performance? 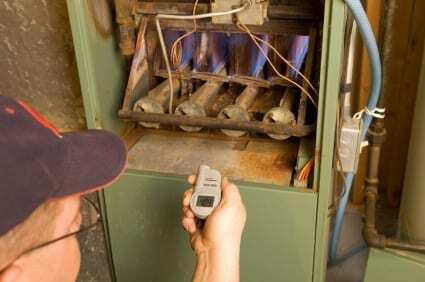 Even if it is, your furnace still may not meet today’s minimum efficiency requirements. 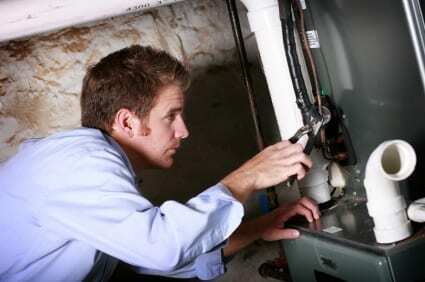 These requirements are designed to save the homeowner money on utilities, and optimize the utilities one is paying for. A central furnace’s efficiency is measured by annual fuel utilization efficiency (AFUE). The Federal Trade Commission requires new furnaces to display their AFUE so consumers can compare heating efficiencies of various models. AFUE is a measure of how efficient the appliance is in converting the energy in its fuel to heat over the course of a typical year. Specifically, AFUE is the ratio of annual heat output of the furnace, compared to the total annual fossil fuel energy consumed by the furnace. An AFUE of 90% means that 90% of the energy in the fuel becomes heat for the home and the other 10% escapes up the chimney and elsewhere. AFUE doesn’t include the heat losses of the duct system or piping, which can be as much as 35% of the energy for output of the furnace when ducts are located in the attic, garage, or other partially conditioned or unconditioned space. An all-electric furnace has no flue loss through a chimney. The AFUE rating for an all-electric furnace is between 95% and 100%. The lower values are for units installed outdoors because they have greater jacket heat loss. However, despite their high efficiency, the higher cost of electricity in our part of the country makes all-electric furnaces an uneconomic choice. If you are interested in electric heating, consider installing a heat pump system. The minimum allowed AFUE rating for a non-condensing fossil-fueled, warm-air furnace is currently 78% for all types of furnaces except for those designed and manufactured specifically for use in mobile homes, for which the minimum AFUE is 75%. Minimum AFUE requirements for furnaces are based on the type of fuel consumed (i.e., gas, oil, or electricity), whether the unit is non-weatherized (i.e., intended for installation indoors) or weatherized (i.e., intended for installation outdoors), and whether the unit is designed specifically for use in a mobile home. In addition to the minimum AFUE ratings shown in the table above, all non-weatherized gas furnaces and mobile home gas furnaces installed in the northern half of the United States, must have a minimum AFUE of 90% (In these ratings, Illinois and Missouri are considered northern states). A condensing furnace condenses the water vapor produced in the combustion process and uses the heat from this condensation. The AFUE rating for a condensing furnace can be much higher (by more than 10 percentage points) than a non-condensing furnace. Although condensing models cost more than non-condensing models, a condensing furnace can save you money in fuel costs over the approximately 15- to 30-year life of the unit and is a particularly wise investment in cold climates like ours in the Midwest. You can identify and compare a system’s efficiency by not only its AFUE, but also by its equipment features, listed below. If you think your furnace or boiler could use an upgrade to be more efficient, contact the professionals at Tiger Heating & Air Conditioning Services, Inc., and we will help you understand your heating and cooling system’s efficiency. Call 1-866-844-3770, or visit www.TrustTiger.com, to set up your appointment with one of our comfort advisors today.